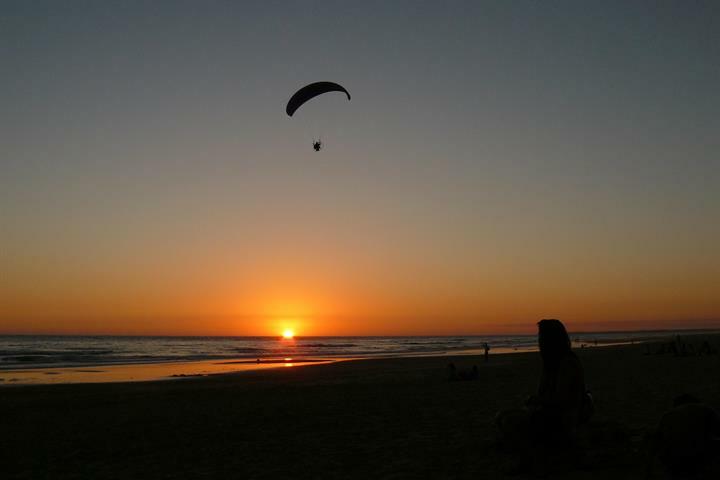 The city of Cadiz, capital of the province of the same name, is situated in the southwest of Andalusia and is one of Spain’s best-kept secrets. Cadiz has been a seafaring, trading town for more than 3,000 years, in fact it is the oldest city on record in western Europe. 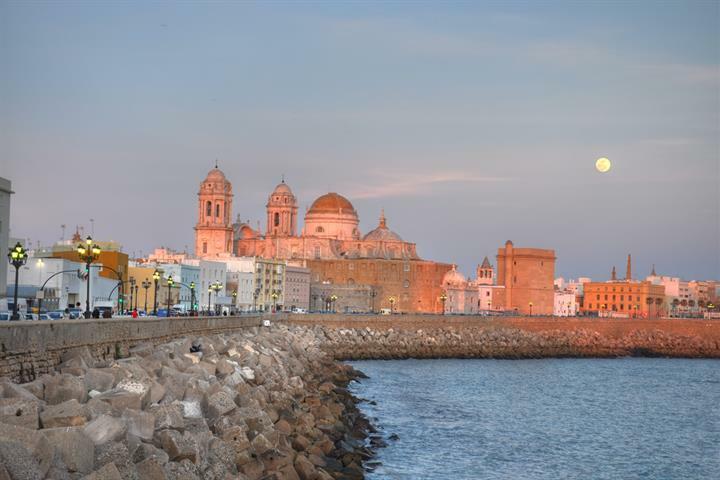 Visitors to Cadiz always fall in love with the city, which combines a rich cultural heritage with an upbeat, friendly ambience; not to mention the wonderful local seafood and tapas. The capital city of the province, Cadiz, is the oldest city in Western Europe; records suggest that the city dates back more than 3,000 years and was the location for the original Iberian settlers. From there the region was occupied by the Greeks, Phoenicians, Carthaginians – for whom it was an important trading post, the Romans, who were then defeated by the Visigoths. Cadiz is a wonderful city that dates back more than 3,000 years; its rich cultural heritage is evident through its streets and buildings. However, it isn’t a stuffy historical city, on the contrary, it has a wonderful upbeat, friendly atmosphere. The city stands on a peninsula jutting out into a bay, which is almost entirely surrounded by water. Ascend to the top of the city’s cathedral and you will almost feel like you are standing on the stern of a boat, all you can see is water. The old city is distinctly Moorish in appearance and a gem to explore with its narrow cobbled streets, beautiful plazas (squares), fabulous fish market and numerous tapas bars. However, there is also a part, which has a distinct Cuban feel, with colourful buildings and even more colourful people, residing there. One of the most beautiful spots in the city is the Plaza de Mina, which is a square located in the heart of the old town. The Museum of Cadiz is located here. Other landmarks are the Plaza San Antonio, Plaza de San Francisco with its church and convent, and the Plaza de Candelaria. The city is filled with cultural interests and surprises, from its 16th century city walls, Las Puertas de Tierra, to the Cathedral Nueva, which is a magnificent 18th century Baroque structure, which if you ascend to the top domed terrace you can see the whole of the bay stretched out in front of you. century and boasts amazing views across the city. The wonderful church of Oratorio de Santa Cruz contains some fine Goya paintings and the Casa del Almirante (Admiral’s House) which dates back to the 16th century, situated in Plaza San Martin, is an exquisite piece of architecture with an elegant history. for the locals. The most popular beach is La Playa de la Caleta, which is located in the La Viña neighbourhood, its been awarded a blue flag and appeared in the James Bond movie, Die Another Day. 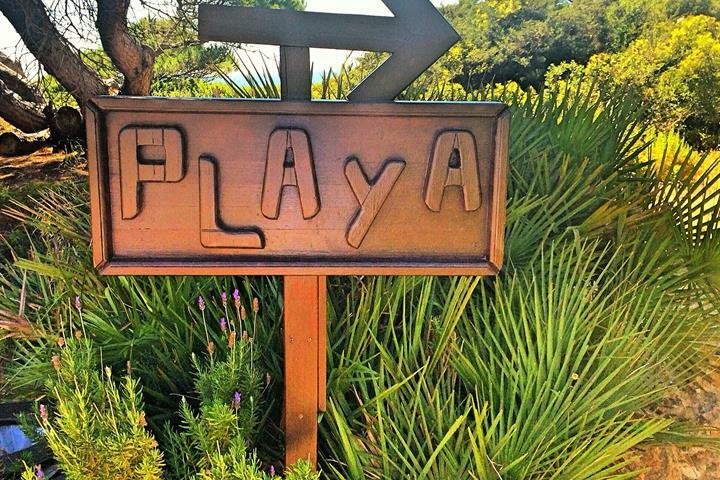 La Playa de la Victoria is a fabulous, wide open expanse of sand, with its beautiful Paseo Maritimo (promenade), filled with chiringuitos, where you can enjoy a wonderful meal in great surroundings. 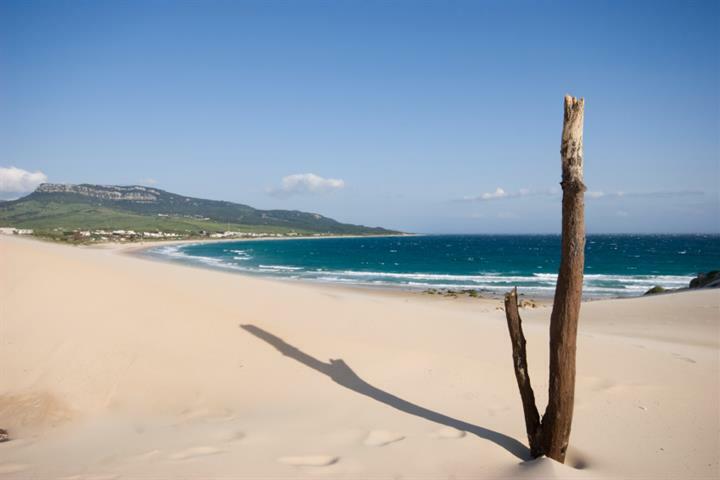 There are also the beaches of La Playa de Santa Maria del Mar and La Playa de la Cortadua, which is the city’s longest beach. famous personalities, or life in general. Most groups just sing in the streets to the happy crowds, but head to carnival’s most famous venue, the Gran Teatro Falla, where you will see the best groups compete. The cuisine of Cadiz has many influences from its past, Moorish, Phoenician and Roman, but all of these add up to a typically Andalusian gastronomy. Aside from seafood dishes, specialities include guiso de rabo de toro (oxtail stew) and perdiz estofado (partridge casserole). 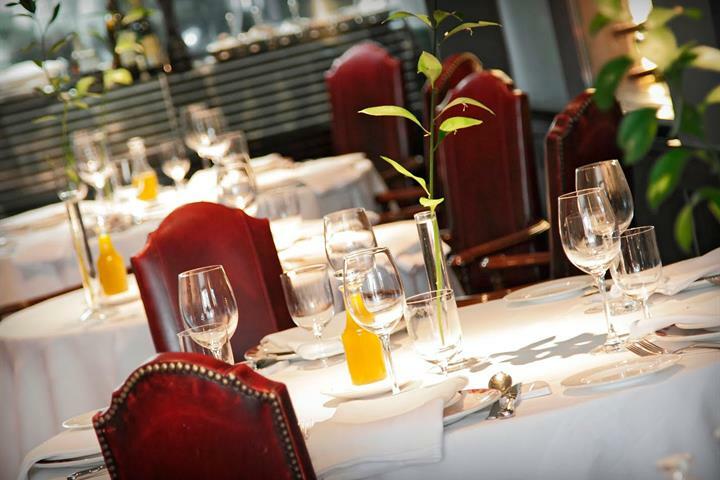 The seafood and shellfishfrom this region are particularly delicious and succulent and feature high on all menus in the city and throughout the province. Particularly good are the mussels, langoustines, clams, crab and razor-shell molluscs, that are easily found by rooting around in the shallows. In Puerto de Santa Maria there is a seafood restaurant with a shop attached, you shop for your seafood, and the restaurant cooks it for you. Simply delicious and fun! You can also indulge in the Ruta del Tapeo (Tapas Route), passing from different bars and restaurants and savouring a tapa in every one. drop to around 18 degrees. The provinces receives about 300 days and 3200 hours of sunshine per year. La Vía Verde de la Sierra es una fantástica opción para practicar senderismo o ciclismo en Andalucía. Te contamos cómo es esta ruta. 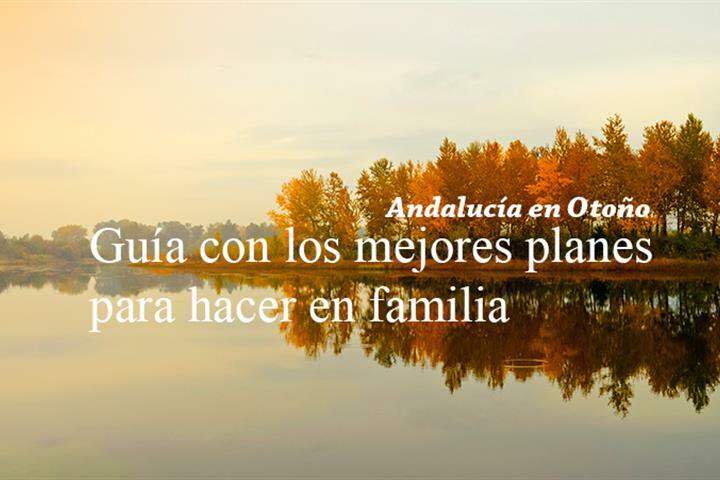 Esta guía rápida llena de interesantes y atractivas actividades en Andalucía es una invitación para disfrutar de la naturaleza que no podrás rechazar. Ruta Gastronómica por Cádiz y el Puerto de Santa María. ¡Más allá del fino! Los mejores restaurantes en Cádiz que tenéis que conocer antes de comenzar vuestras vacaciones. Os revelamos estas 38 impresionantes fotografías de Cádiz con las que estamos seguro que tu alma viajera adorará a esta bella ciudad. El Carnaval de Cádiz también es conocido como "la fiesta de la calle”. Descubre su diversión sin tregua, disfraces y muchas ganas de pasarlo bien. Las playas de arena fina, limpias y con accesos adecuados. Los servicios: restaurantes, zonas de ocio, etc muy bien.